Jesus said that in the end times there will be unusual activity in the skies. It will begin before the Tribulation Period even starts, and will get progressively worse during the course of those seven years, leading up to the return of Jesus as King of Kings. In the Book of Revelation the opening of the Sixth Seal will cause the sun to turn black, the moon to be blood-red, and stars to fall to earth. The Greek word for "star" is aster, so this means that asteroids will strike the planet (Revelation 6:12-13). At the sounding of the Fourth Trumpet, a third of the sky will be blacked out (Revelation 8:12). Also, when the Fourth Bowl of Wrath is poured out it will cause the sun to send an intense blast of heat (Revelation 16:8-9). There were Christmas full moons in 1901 and 1920. The next Christmas full moon will happen in 2034 with another in 2053. 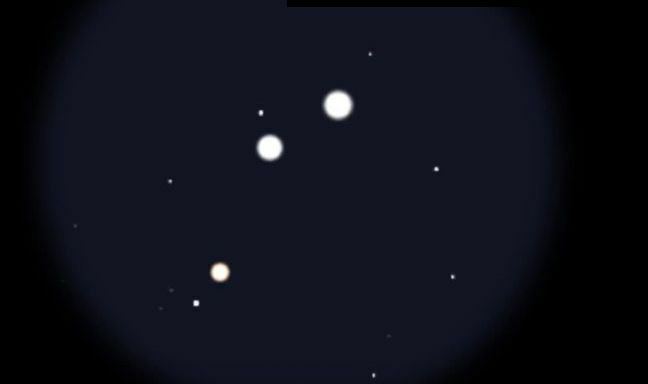 Oct. 26 - In the early morning skies, Three bright planets stand out between now and Nov. 3. The relative brightness of Venus and Jupiter make the event easily seen by the naked eye or binoculars and is being labeled by some Internet-savvy astronomers as the same Star of Bethlehem phenomenon the magi saw some 2,000 years ago. The event marked the first supermoon total lunar eclipse since 1982, and the last until 2033- and it was visible to potentially billions of people across the Western Hemisphere and parts of Europe, Africa and Asia. Sept. 27, 2015 - Space.com presents sky maps for when and where to see the lunar eclipse. The moon will pass through Earth's shadow in a dazzling total lunar eclipse on Sunday, Sept. 27, and early Monday, Sept. 28, creating a blood moon during lunar perigee. A so-called supermoon lunar eclipse. Are the Blood Moons Relevant to Bible Prophecy? "You are not taking any big risks whatsoever if you say in the future in this two-year period of time from 2014-2015 something important is going to happen in Israel." ... revealed mountains as tall as the Rockies, and an absence of craters — discoveries that, to their delight, baffled scientists working on NASA’s New Horizons mission and provided punctuation for a journey nine and a half years in the making. July 1, 2015 - From our position on Earth, it looked like Venus and Jupiter were about to collide Wednesday night. They were less than a third of a degree apart and the perceived distance between them was less than the width of a full moon. This convergence is known as a planetary conjunction - which is often cited as a possible scientific explanation for the Star of Bethlehem, the sign in the Gospel of Matthew that drew the Magi to the birth of Jesus. Read our commentary: Do the Blood Moons Really Mean Anything? Many of the articles on this page also relate to this phenomenon. Apr. 3, 2015 - The third blood moon in a tetrad [series of four in a two-year period], will occur in the early morning hours tomorrow. According to NASA, the total phase of the eclipse will only last about five minutes, making it the shortest lunar eclipse of the century. In the West, the total eclipse will begin at 4:58 a.m. Pacific Time and end 5 minutes later. Mar. 24, 2015 - This analysis of the film "Four Blood Moons" takes an honest look at the strengths and weaknesses of the new documentary about the tetrad of blood moons we are experiencing. It is rich in historical information and very pro-Israel. It is convincinig and faith-building. But, in his opinion, it should have given more credit to Mark Blitz for developing the story. 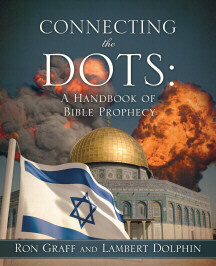 The theater crowd at the premiere exploded in applause when Dennis Prager and John Hagee made the point that any nation that turns its back on Israel will be a loser. The deep shadow formed first in the North Atlantic and then swept up into the Arctic, ending at the North Pole. Netanyahu speech setting stage for Last Days? Many Christian leaders around the globe agree — the United States is at a very pivotal point in world and biblical history with Israeli Prime Minister Benjamin Netanyahu’s much-contended March 3 speech before Congress at the nation’s capital. President Barack Obama rebuked House Speaker John Boehner for inviting Netanyahu to speak to Congress. The President and some other Democrats will not attend the speech, causing an unprecedented disconnect between the U.S. and Israel. Feb. 10, 2015 - A big-screen docu-drama about the current series of four blood moons and their possible meaning for Israel, the Middle East and the world will debut as a one-night event on March 23. "Four Blood Moons combines Scripture, science, history and big-screen live action spanning centuries, including previous similar lunar occurrences and the earth-shaking changes around them." The movie is based on the best-seller Four Blood Moons: Something Is about to Change by John Hagee. It is directed by Academy Award winner Kieth Merrill, and features nationally syndicated radio host and author Dennis Prager, and acclaimed American historian and WallBuilders president David Barton. Jan. 15, 2014 - Comet C/2014 Q2 (Lovejoy) has a pale green tail and is visible with the naked eye until Jan. 24th. It can be seen with the naked eye in dark, clear skies. To spot Comet Lovejoy, just look in the direction of Orion, Taurus and the Pleiades, high in the southeast sky. Jan. 13, 2015 - On Jan. 26 a large asteroid (2004 BL86) will pass the earth close enough to be seen by backyard telescopes. Size:. . . between 400-900 meters (1300-2900 feet) across. That’s big; by comparison, the meteorite that exploded over Chelyabinsk, Russia in 2013, damaging some 1,500 buildings and injuring some 500 people, is was estimated to be one twentieth that size. The asteroid will pass the earth at approximately three times the distance from the earth to the moon. My stars! Is 2nd Coming of Jesus etched in night sky? 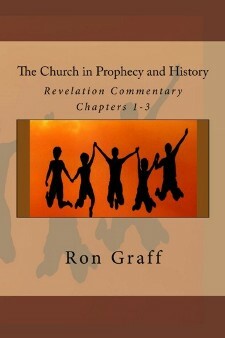 - in our "Rapture" section.